Ishaan started going to Kindergarten few weeks ago. I was a bit stressed about him going to new school right after coming back from India. On the first day of school, I went to have lunch with him, totally prepared to bring him back home if he was too tired. He assured me he was fine and I can pick him up after school. I came home relieved, thinking he is grown so much that he can handle it. I send him lunch every day. I stress about does he have enough time to eat? can he open his lunch box? did I forget to pack his spoon etc. I asked him to get help from some grown-up in opening the box. Now he says he asked first couple of days but now he can do it all by himself (he takes food in a thermos and it is hard to open it sometimes!). He is a slow eater and if there are friends around, talking and then running out to play takes higher priority!. Now that he has settled down a bit, I ask him what lunch he wants in his box, so that he is excited about eating. Last week he asked for pulav. 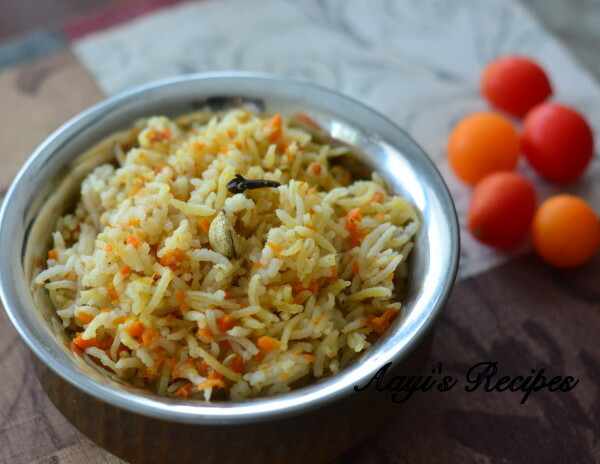 At home he loves pulav/biryanis with yogurt or raita. But eating yogurt with it at school would be too much to ask. So I decided to make it with less spices but packed with nutrition and flavor. This carrot pulav was a perfect fit. I packed it with a big dollop of ghee for him. Even my 1 and half year old loved it. 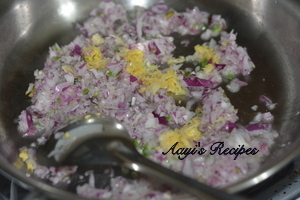 Heat oil/ghee and fry spices, then onion, ginger-garlic paste, green chilli paste. 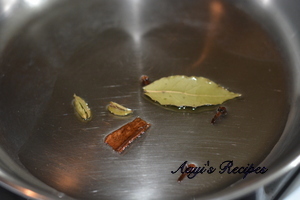 Add garam masala, fry. Then add rice, carrots. Pour water, cover and cook. 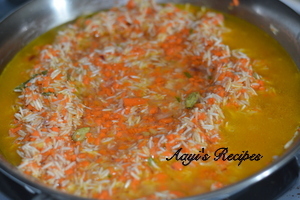 Your carrot Pulav is a very simple and great job. I have a small idea. After following all the steps as you have suggested can we put the rice, water and mixture of masala (Onions, carrot etc ) into a small earthen pot cover its mouth with aluminium foil and bake it like idly,s in a idly stand ? Something similler to say Dum Biriyani. Your comments please. Sorry, never tried it. I think it should work though. Shilpa mam gey nanna tumbu hrudayada namskara. Nim website nangey 4 years inda gotthu. Proud to say that kannadathi is top notch in cooking blog. Aparat frm recepie ur blog is just osam. Due to time constraint i cant view ofently. However i was tried lausini dal palak. Its ossam mam. Long back i was commented…. Mam yoghurt yelli sigathey?. Maneli prepare madboda?.. Pls suggest..
Shiva, Thanks for kind words. You will get yogurt (Mosaru) in any grocery store or can make it at home. can i use number of vegetables?? Looks yummy! 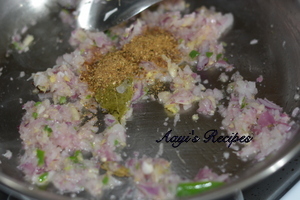 An easy n healthy recipe. 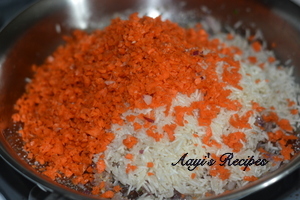 Easy to prepare.. my kids love to have this pulav often..